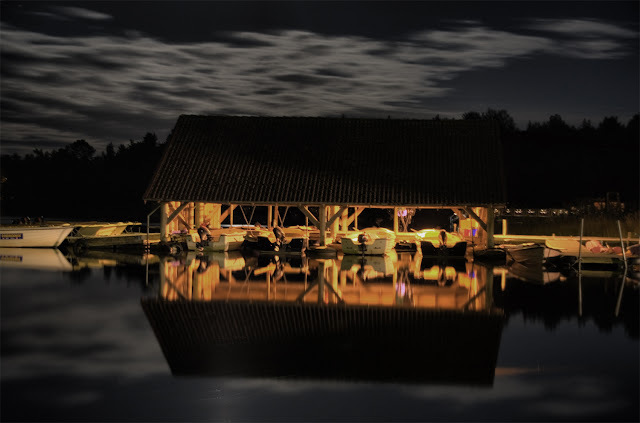 Here is a pretty perfect reflection of a boat house at night. The picutre was taken on a Swedish campground of the super scale - opportunities and prices. The boat house of the place was close to our camping spot and I just needed to dive right into the mosquito storm and survived. This photo was my price money so here it is!